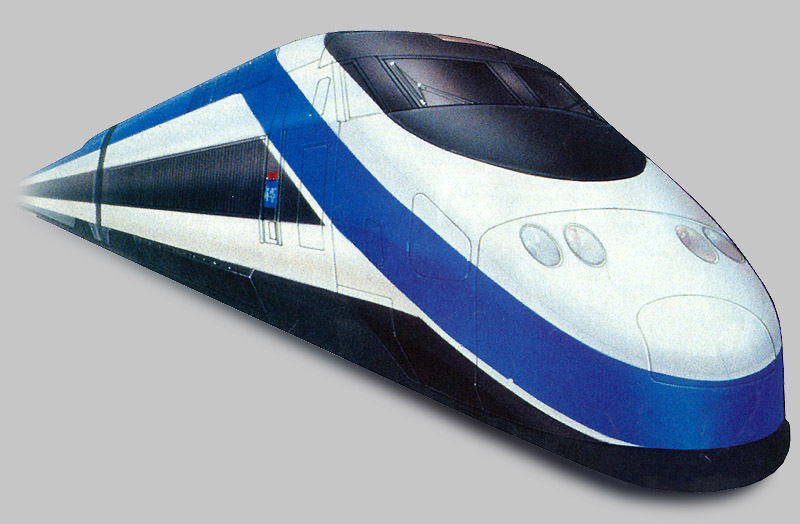 An artist's concept of the Korea TGV, circa 1993. This design of the trainset's nose is more elaborate than what eventually was built, probably because using pre-existing tooling (from Spanish AVE production) was cheaper. An artist's concept of the Korea TGV, circa 1993. This profile shows off the "shovel nose" that MBD Design favored at the time, which was claimed to have the lowest aerodynamic drag in the numerous tunnels of the Korean high speed line. A finished KTX trainset in France. 12 of these trainsets were built in France and the other 34 are to be built in South Korea under a technology transfer agreement. The system is known as the KTX, or Korea Train eXpress. 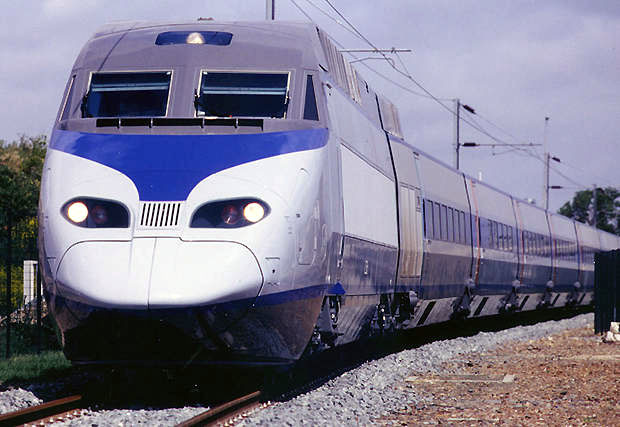 The trainset shown here is in blue and white livery, which in an interesting parallel to the TGV Atlantique has been switched to blue and silver partway into production. See external links for more info, under World Links by Country -> North Korea. 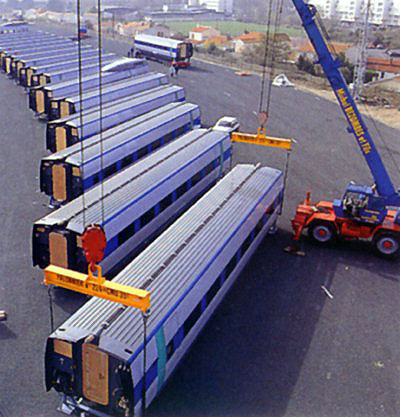 A row of finished KTX trailers sitting in storage near the Aytre factory in France, not far from the La Rochelle railway station on the Atlantic coast. Circa 1999.